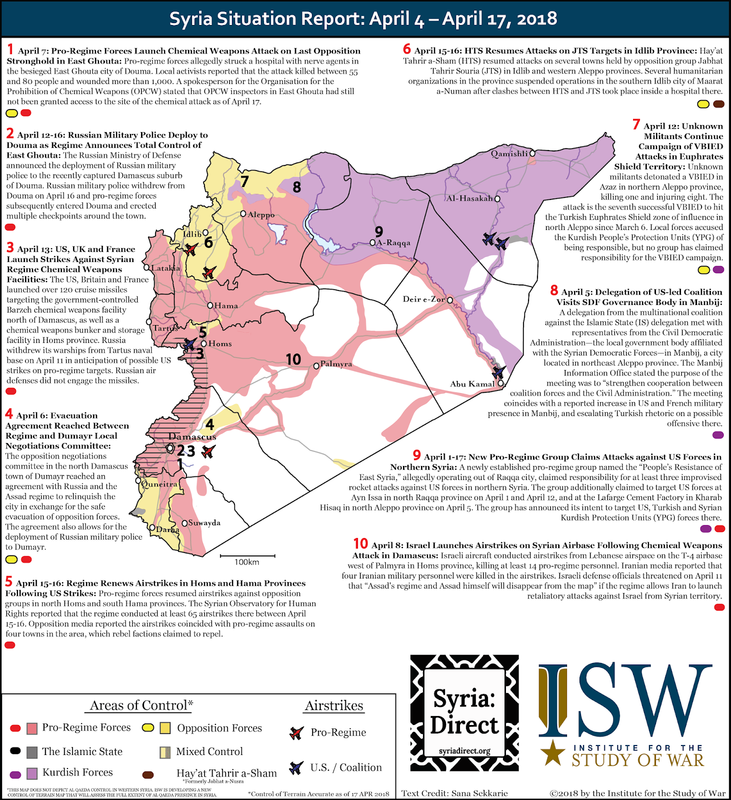 These graphics mark the latest installment of the Syria Situation Report (SITREP) Map made possible through a partnership between the Institute for the Study of War and Syria Direct. The maps depict significant developments in the Syrian Civil War from March 21 - April 3, 2018 and from April 4 - April 17, 2018. The control of terrain represented on the maps is accurate as of April 17, 2018.